Third Generation of our LED projector line in an extremely compact housing. The ES-LED10 utilizes a US developed 10W LED in combination with interchangeable projection lenses. This combination delivers light output that rivals our 30W LED projectors while maintaining top image quality. These projectors are new, returned or have been used as demo units. Each projector has blemishes, ranging from light scratches to scratches and dents. All projectors have been refurbished then tested to ensure they are in working condition. For applications that require an extremely compact fixture and long duty cycle and maintenance intervals, such as Clubs, Bars, Restaurants, Showrooms, and other interior applications. 50,000 hours bulb life - never exchange a bulb over the life of the projector. 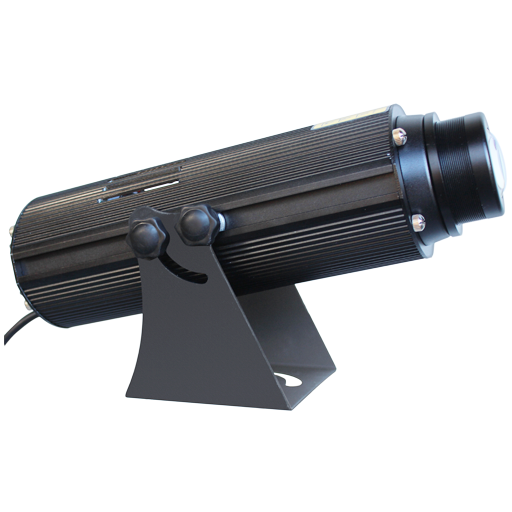 Excellent optics with interchangeable projection lenses make it easily adaptable to a wide range of applications. Dimmable: Not dimmable with an electronic dimmer, ask for alternative dimming options.